Although Northamptonshire Fire and Rescue’s main responsibility is saving lives, they may also help pump out floodwater from your property depending on how busy they are. During a flood incident you should focus on the safety of yourself and others and make sure to stay out of floodwater. See our Help I’m Flooding page for more details on what to do. See below for other useful emergency contact details for flooding from a highway, watercourse, water pipe or sewer. To report flooding relating to a highway such as blocked ditches, blocked drains or flooding on a road call Northamptonshire Highways or visit the Street Doctor website. To report flooding on the M1, M45, A5, A14, A45 (M1 to A14) or A43 (M1, south of Northampton to Oxfordshire border) contact Highways England. 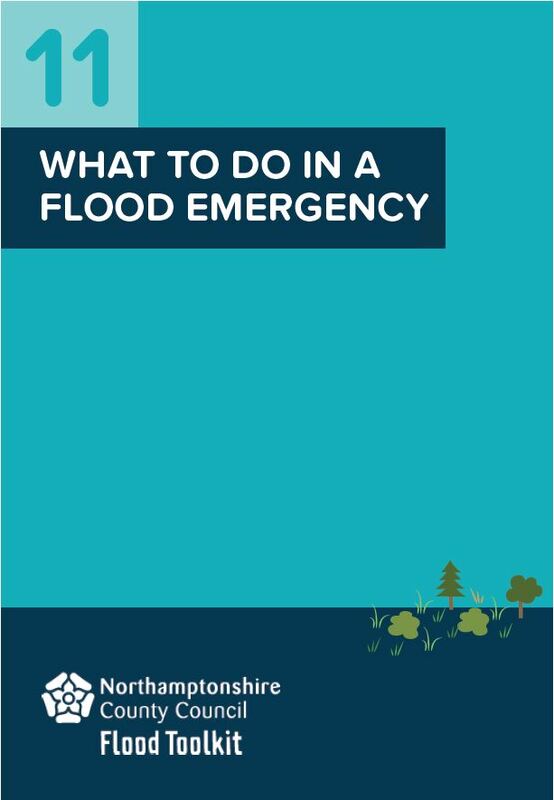 To report flooding from a main river contact the Environment Agency. Visit our Flood Risk Map page to see all main rivers in Northamptonshire. To report flooding from an Anglian Water burst water main or sewer use the contact details to the right. Check who your Water and Sewerage provider is in Northamptonshire on our Flood Risk Maps. To report flooding from a Severn Trent burst water main or sewer use the contact details to the right. To report flooding from a Thames Water burst water main or sewer use the contact details to the right.